We are an Award winning luxury boarding cattery in Mayfield East Sussex, focused on providing the best care for your pet whilst you are away. 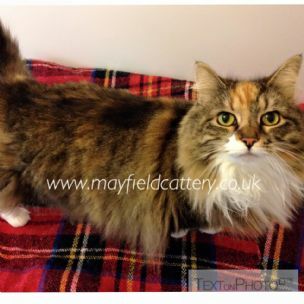 Mayfield cattery is a small, friendly, luxury, cattery. Run by myself Debbie, my mum Pauline and my two daughters. Cats can become nervous in a cattery setting and we are here to make sure your special friend gets all the attention they need throughout their stay with us. Therefore the more information you provide , the more comfortable their stay will be. We like to know all about their likes and dislikes and their different characters.We are qualified and insured for your peace of mind. As we are only small your cat will get round the clock attention.Playtime and respectful quiet times too.We are members of the Licensed Kennels & Cattery Association and fully licensed by the council. All our suites have a light and airy conservatory feel and are individually heated and thermostatically controlled for warmth in the winter and air conditioned in the summer months. We have met and exceeded the regulations for cattery boarding establishments so please rest assured your cat will have a comfortable holiday with us. We are very hands on here in Mayfield Cattery and have researched all the latest stimulating toys for your cats to enjoy. Cuddles and playtime galore but respect and quiet times too. Materials used here at Mayfield Cattery allow us to keep suites scrupulously clean between boarders. We can administer medication. Please ensure you fill out relevant details on your booking form. All diets are catered for , however if your special friend has prescription food please ensure you bring enough to cover their stay thankyou. Some cats are very anxious in a cattery environment, however relaxed the environment so because of this we also offer a home visiting service, where we visit your home twice daily to feed your cat, clean litter trays, we can collect your post and put your bin out and a general check up providing peace of mind for you whilst you are away. Mayfield Cattery is situated just outside Mayfield an area of outstanding natural beauty. Easily reached on the A267 between Tunbridge Wells,Kent and Heathfield East Sussex. We are only 40 minutes from Gatwick Airport. Open monday to saturday please phone to arrange a viewing. Bookings can be made at a mutually convenient time to suit individual needs. We can be contacted any time please see or website for details.